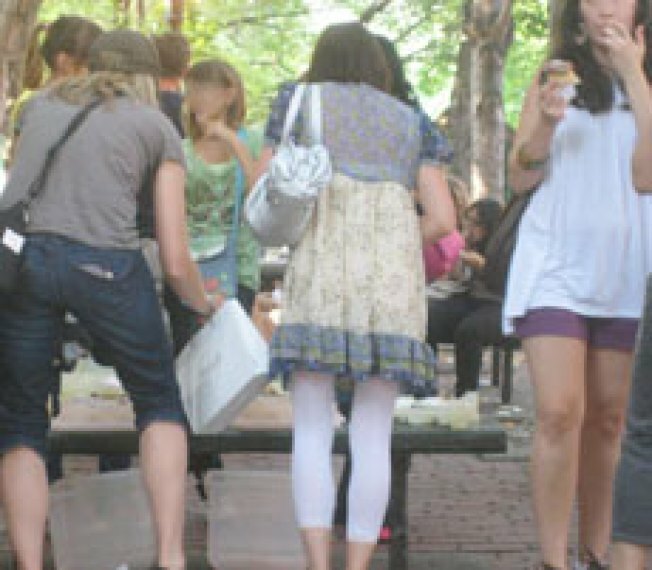 I went by to check it out and found the park packed with dozens of SATC tourists munching, licking fingers, scattering crumbs for birds, and clamoring around stacks of cupcakes served in plastic tiers on a bench. The garbage cans overflowed with icing-smeared boxes and paper cupcake wrappers. A flurry of napkins and wrappers were tossed on the ground--perfect snacks for the pigeons and rats. A sign hangs in Magnolia's window asking its patrons to respect the neighborhood, and hey, what's more respectful than feeding the West Village's wildlife?